Burundi: The NGO Vultures are gathering for the”feast”. Beautiful Burundi, “the Beating Heart of Africa” is situated almost in the centre of Africa with a shape like a heart. It’s located between Congo, Tanzania and Rwanda. Burundi is home to the Lake Tanganyika which is estimated to be the second largest freshwater lake in the world by volume, and the second deepest, after Lake Baikal in Siberia. Nov 8, 2015: Will the West Create its Next Failed State in Burundi? 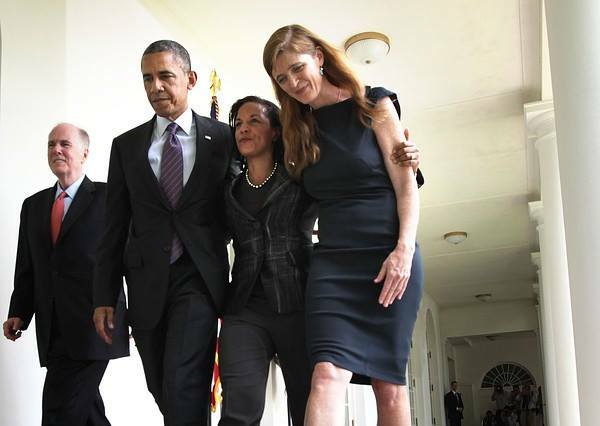 ‘After Burundian President Pierre Nkurunziza’s ultimatum to insurrectionists to lay down their arms, US Ambassador to the UN Samantha Power, and the International Crisis Group, a think tank headed by Western military, government and corporate officials, warned of massacres like those in Rwanda in 1994. 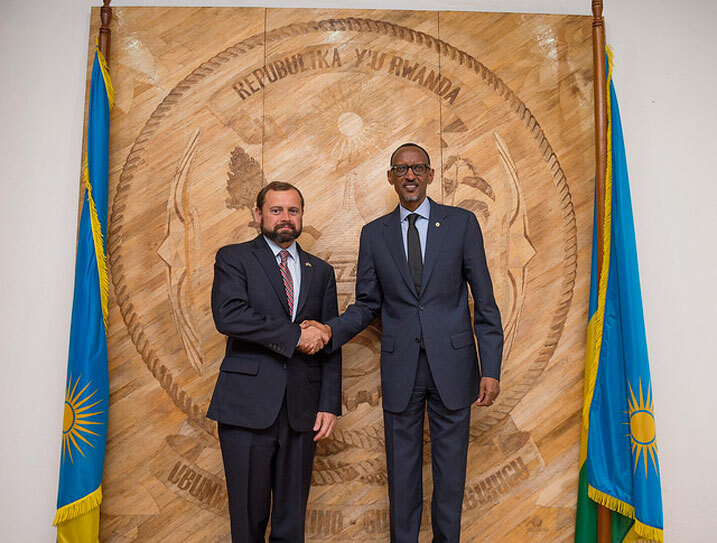 In contrast, Charles Kambanda, Rwandan American attorney and former professor at the National University of Rwanda, describes the conflict as political and its larger context as an East/West power struggle for resources. The role of Avaaz, Purpose Inc. (the for-profit PR arm of Avaaz), and Avaaz co-founders in U.S./E.U. led destabilizations/invasions across the globe is now extensively documented. Burundi serves as a rinse, rather, repeat performance, only with far less notoriety/interest. 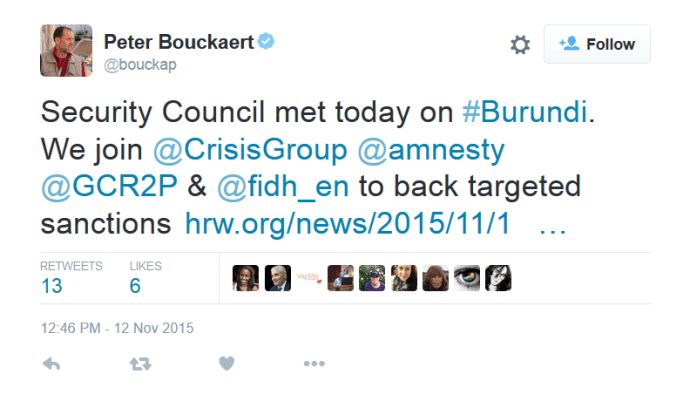 May 16, 2015, Are the US and the EU Sponsoring Terrorism in Burundi? “The US-funded media disinformation campaign is part of the prelude to the mobilization of street protests against the government that can be presented to the world as a ‘popular uprising’against a ‘dictator’ who is ‘killing his own people’ It is a techinique that has been perfected by US ‘democracy’and ‘civil society’ NGOS…. Human rights investigator and award-winning journalist Keith Harmon Snow, describing the U.S. Center for American Progress and its use of propaganda in portraying Africa in order to protect and further U.S. interests/ foreign policy objectives. Within the lecture, Snow discusses the psyops/propaganda strategically orchestrated behind the “Save Darfur” campaigns/movements which, in 2004, began to saturate the populace. At the helm of this “movement” was “The Center for American Progress”. The Center for American Progress, is closely connected with the same players that founded and financed Avaaz. Today, with Avaaz at the forefront, the non-profit industrial complex has been appointed trusted messenger of a grotesque and disturbing ideology; nothing less than a complete reflection and validation of the U.S. administration’s rhetoric intended to justify the annihilation and occupation of sovereign states under the false pretense of “humanitarian intervention” and “responsibility to protect”. Res Publica was founded by Tom Perriello, Ricken Patel and Tom Pravda. Avaaz co-founder Tom Perriello served as president and CEO of Center for American Progress from December 2011 to to February 2014. Perriello and Patel also co-founded and co-directed DarfurGenocide.org which officially launched in 2004. “DarfurGenocide.org is a project of Res Publica, a group of public sector professionals dedicated to promoting good governance and virtuous civic cultures.” Today, this organization is now known as “Darfurian Voices”: “Darfurian Voices is a project of 24 Hours for Darfur.” The U.S. Department of State and the Open Society Institute were just two of the organizations funders and collaborating partners. Other Darfurian Voices partners include Avaaz, the National Endowment for Democracy (NED), International Centre for Transitional Justice, Darfur Rehabilitation Project, Humanity United, Darfur People’s Association of New York, Genocide Intervention, Witness, Yale Law School, The Sigrid Rausing Trust and the Bridgeway Foundation. 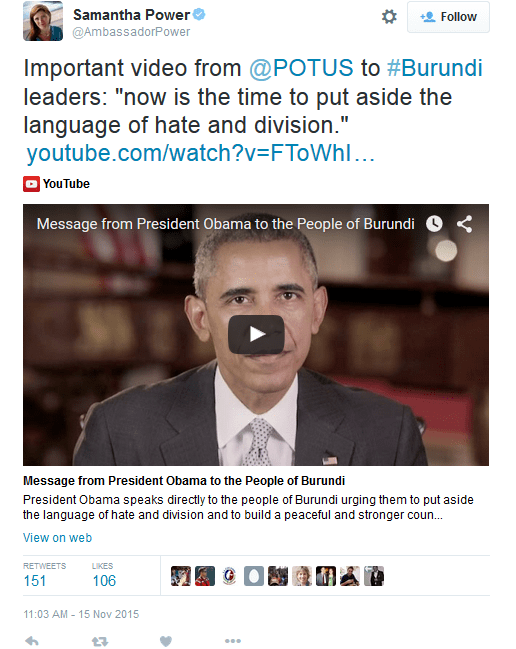 Today the Obama administration is frothing at the mouth over the imperial capture of Burundi. To view video, click above screenshot. This statement was signed by the the usual NGOs must subservient to empire: Amnesty International, Global Centre for the Responsibility to Protect, Human Rights Watch, International Crisis Group (ICG), and International Federation for Human Rights (FIDH). In 2007, ICG and Human Rights Watch were key players in the development of the Global Center for the Responsibility to Protect in cooperation with prominent governments, NGOs and academia. The George Soros Open Society Foundation is the primary donor of the Human Rights Watch, contributing $100 million of $128 million of contributions and grants received by the HRW in the 2011 financial year. 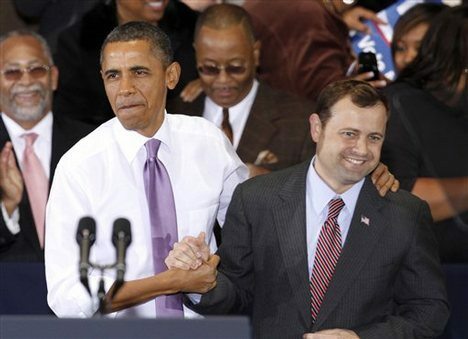 Perriello is a supporter of the U.S. / E.U. led “War on Terror,” a fabricated psyops, which was and continues to be an essential component to unleash a new wave of wars, invasions and occupations. 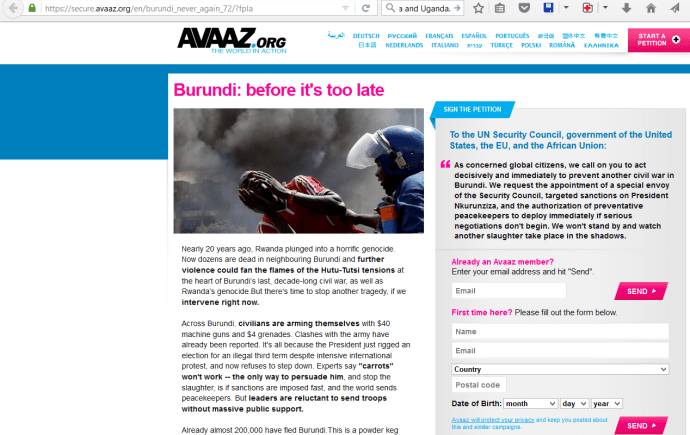 The mythology of Avaaz as a force for “good” can only be matched by the mythology that continues to shroud the facts behind the Rwandan Genocide – the very myths that Avaaz co-founders helped propagate. Myths created to obscure a Western superpower that continues to manipulate every crisis it creates. A western superpower that strategically utilizes the non-profit industrial complex, bankrolling it to the tune of trillions. The Deluge is a film in progress, undertaken to reveal the truth about invasions, insurgencies, and civil wars that have engulfed the Great Lakes Region of Africa, most of all Uganda, Rwanda, and the Democratic Republic of the Congo, during the past 20 years. Hotel Propaganda: what really happened in Rwanda in 1994. On the evening of April 6th 1994 a plane carrying the Hutu leaders of both Rwanda and Burundi was shot down as it approached Kanombe airport. The assassins had little trouble targeting the flight as only one of the two runways was open, the other having been closed two months earlier on the orders of Canadian General Romeo Dallaire. Simultaneous to the shootdown, that is on the eve of April 6th, a 30,000 RPF (Tutsi) army based in Uganda invaded from the north. At the same time, hundreds of covert armed RPF cells came to life in and around Kigali and began attacking Rwandan government forces (FAR). The population, roughly 85% Hutu, and encompassing at least a million refugees in and around Kigali displaced by previous RPF incursions from Uganda, began to panic. A genocide was about to begin. November 24, 2015 in Burundi, Uncategorized. BURUNDI: Geopolitical Jewel In the Cross Hairs of “Regime Change” and Hybrid War Pundits.